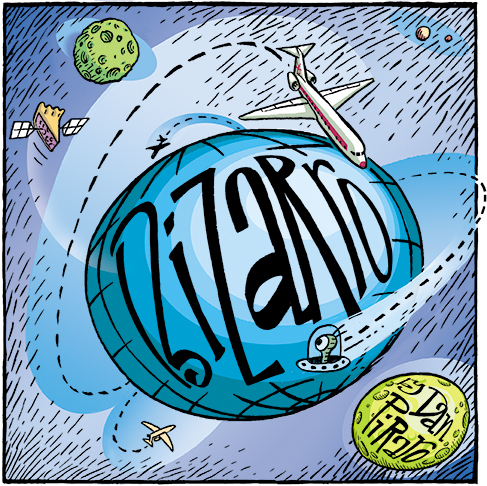 Bizarro is brought to you by Striking Resemblances. Remember when you were young and in a band and going to loud concerts and you ignored the advice of adults who warned you about protecting your hearing? Well, as clueless and uncool as those decrepit geezers seemed, either they were correct or they cruelly cast a voodoo spell on you as punishment for ignoring their advice, and you can now only hear about 85% of the syllables people aim at you. Or at least, that's what happened to me. 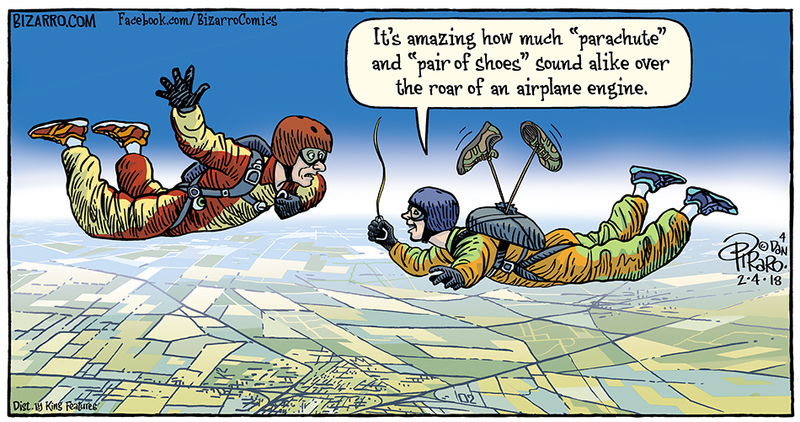 It is for this reason that I stay away from skydiving and other activities during which a misunderstanding could result in my death. 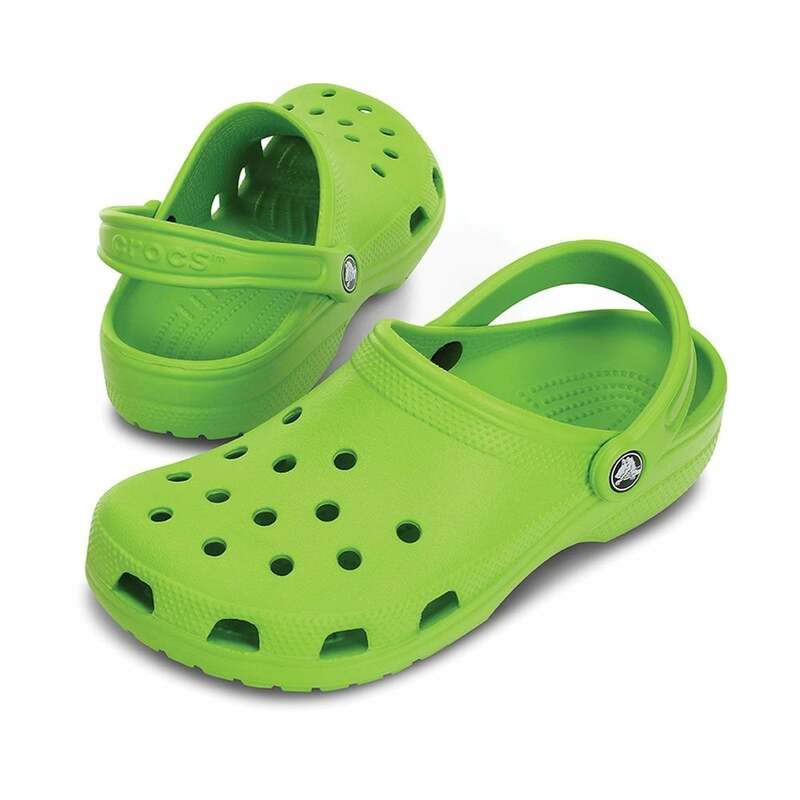 I can endure a lot of things from someone I'm living with but not Crocs. You have to draw the line somewhere, people. I got a more than a few emails and comments from people who said they'd researched it and could not find anything notable about Spring Break in Tampa in 1997. 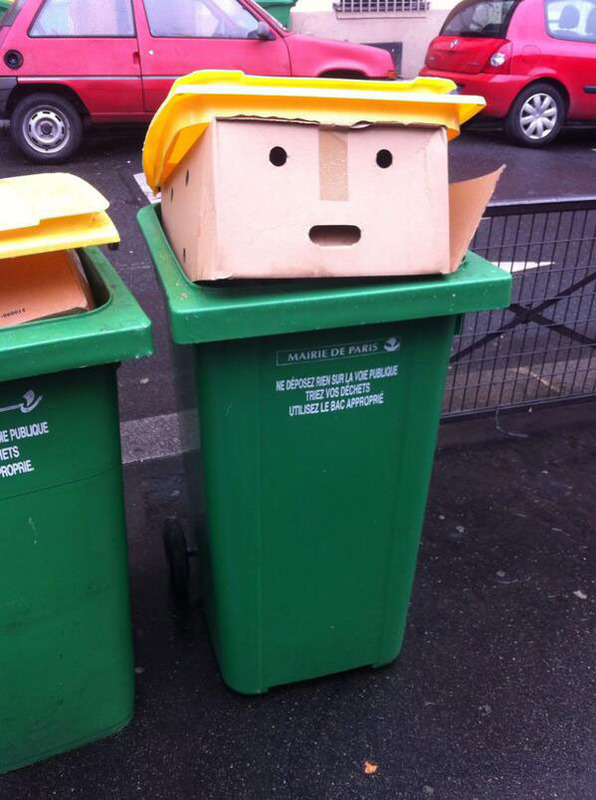 Come on, folks. This isn't about a specific event or place, it's just two guys discussing a random Spring Break that they remember being even better than heaven. And I got a couple of comments and emails asking what this cartoon means, too. It's just a surreal look at the typical info sign at a shopping mall or amusement park, but in this guy's case, he's viewing himself on the sign while a larger version of himself is viewing him viewing the sign, and probably an even larger version of himself is viewing himself viewing himself viewing himself on the sign. Is that so difficult to understand? This feature is called Bizarro, after all, so I would think a little surrealism would be acceptable. You all know what they say about judges with giant gavel fetishes. Having lived in Mexico for over a year now, I consider myself something of an amateur expert on Chihuahuas and in my opinion, they yap too much. I love the look of them, however, (reminiscent of some kind of sci-fi, comic book rat with a super large brain and X-ray vision) and would happily have one in my home if it could be quiet. 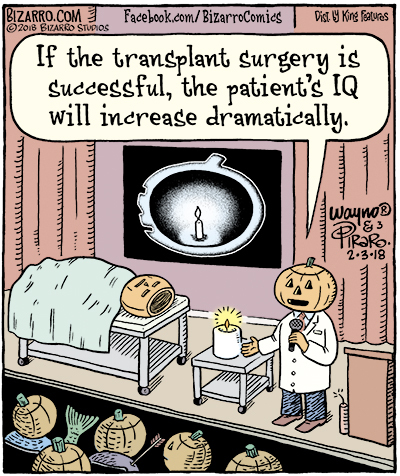 Jack-o-lantern scientists are still in the early stages of experimentation with I.Q. manipulation, but preliminary results are very encouraging. Of course, it would help if they could study one longer than a week without it shriveling. That's the rabbit hole for this week, Jazz Pickles, thanks for following me down it. Please do not fail to drop by my new shop and let me know what you think. I'll be adding products soon so if you have an idea of what you'd like to see, let us know that, too. By the way, "us" refers to Olive Oyl (O2), my adult daughters, Krapuzar and Krelspeth (K2) who help us with technology and online stuff, and me. That's the whole operation here at Rancho Bizarro and we all really appreciate your support!